Activ8 after school, before school and lunchtime clubs can be run for children in Key Stages 1 and 2. Our clubs are designed by a qualified, highly experienced teacher and sports coach and complement the curriculum. Parents love our classes because their children come home happy and invigorated, having had plenty of activity, and children love our classes because they’re designed to provide learning in a fun, interactive way. At Key Stage 1 we focus mainly on multiskills, building confidence and a strong foundation to build upon. 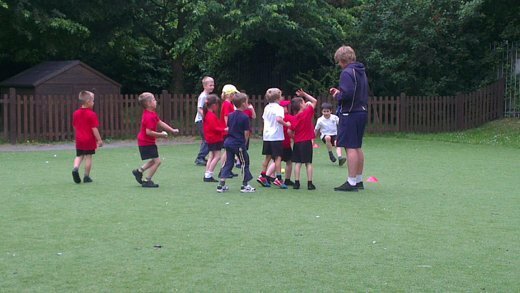 As well as multiskills, we teach athletics and gym classes for Key Stage 1 pupils. Our Key Stage 2 clubs take these core skills and apply them to specific sports, giving children the chance to learn new skills, such as teamwork and tactics. Our Key Stage 2 clubs we can offer include gym, leadership and cross country. We’re also available to run Change4Life Sports Clubs at your school, which are a fantastic way to include children in sports and activity. Please contact us for more information on these or any of our after school clubs.